The founder of Hamann Motorsports, Richard Hamann, has passed away after an elongated battle with lung cancer. Most popular for his tuning company, he also was an accomplished race car driver in his own right. Friends remember his passion for the automobile and tuning engines. When he created Hamann in 1986 he was already famous for tuning German automobiles better than anyone else. Throughout his illustrious career Hamann competed in over 700 racing events. Of those he crossed the finish line in a top 3 spot 300 times. He recorded victories in 103 of them. Furthermore, Hamann was an integral part of the BMW M1 racing legend and won 3 Touring Car trophies behind the wheel of one of these mystic machines. As his racing career began to wind down, the tuning business expanded rapidly. Starting with what he knew best, BMW, the company was specific to German manufacturers competing against the likes of Brabus and AC Schnitzer. As the company has grown and become the juggernaut we know today, they have expanded to Lamborghini, Land Rover, Maserati, Rolls Royce, Aston Martin, Mini, and Ferrari tuning in addition to the classic German brands. Hit the jump for more details on Hamann Motorsports. 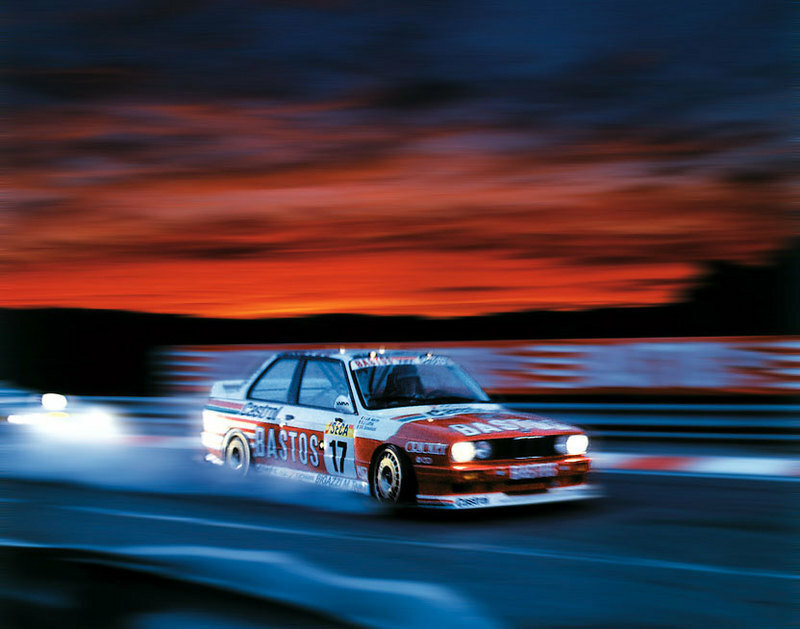 One of the first vehicles to be tuned by the maestro was a BMW M3 E30. The 1986 model of the M3 was the first to use a 2.3-liter I4 engine that produced roughly 192hp and could reach a top speed of 146mph. By today’s standards this is not impressive, but the small and lightweight M3 became a legend and still holds a special place in many enthusiasts’ hearts. Hamann knew that he could squeeze more power out of this engine and utilized his vast BMW experience to do so. He started by adding a turbocharger that helped the engine pump out 343hp. That power is equal to the more recent inline 6 engine used in the last generation BMW M3. It could propel the car to 62mph in 5.1 seconds and all the way up to a top speed of 169mph. With this being his first foray into the tuning world, it was clear that this talented young man could work wonders with some of the best factory production models around. The tuning company is a producer and manufacturer of some of the most technologically advanced parts in the aftermarket business. Their lines include aerodynamics, suspension, exhaust, light alloy wheels, engine tuning, and interior design. The upgrades available for your specific model can range from mild to wild, as do the prices. Full ranges are available for almost every vehicle in a given manufacturers lineup. Expanding upon the legacy of Hamann is a full lineup of products for BMW. Models from the 3-series through the Z8 have been taken care of and can receive a myriad of specialty tuning products. For example, the 7-series program includes a front spoiler that is fixed on the standard bumper giving the car a more prominent front end. New side skirts and door panels make the model look lower and more elegant. In addition, the 7 Series can become more sporty with a roof wing and rear spoiler. Finishing everything off is a set of custom wheels and tires. The company has begun exploring the inner workings of some of Italy’s most storied brands, including Ferrari. Some think there is little upgrading that can be done to a stock Ferrari in terms of beauty or performance, but Hamann might disagree. The programs for these cars do tend to be more subtle than for other manufacturers, but they still offer enhancements. For the Ferrari F430, the aerodynamic program, suspension, brakes, and exhaust and manifolds can all be replaced with Hamann specific parts. Custom alloy wheels include sizes up to 20 inches and other exterior enhancements include a new front spoiler, wide side sills, rear diffuser and spoiler made of carbon-Kevlar. A golden Ferrari 599 GTB Fiorano was spotted in Dubai and had apparently been upgraded by Hamann. This particular Ferrari 599 GTB Fiorano features a new bodykit, subtle Hamann spoilers, an extra 53 HP, new wheels, and of course a metallic golden finish. The extra power has been coaxed out of the V12 by adding high-performance sports headers including racing catalytic converters. This power makes the 599 even more powerful than the Ferrari Enzo, adding up to a majestic 673 bhp. You will rarely encounter more power than this on the open road. 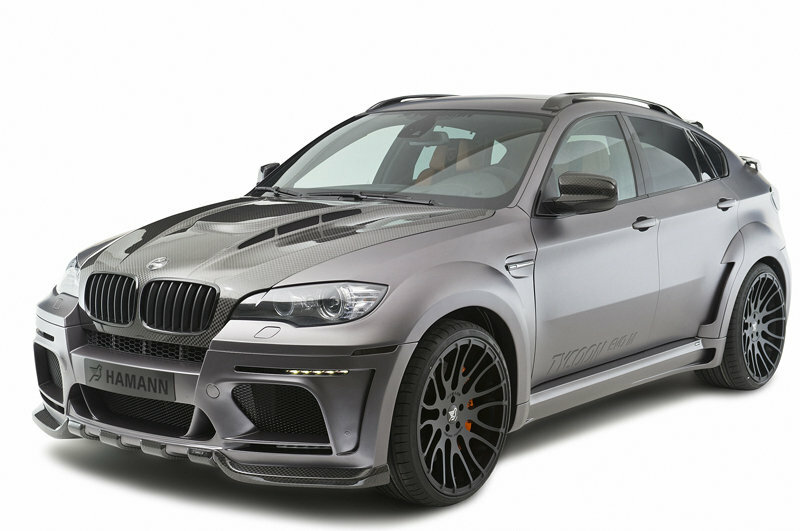 As a result, Hamann has reduced the power-to-weight ratio from 2.5 to 2.3 kg per bhp. 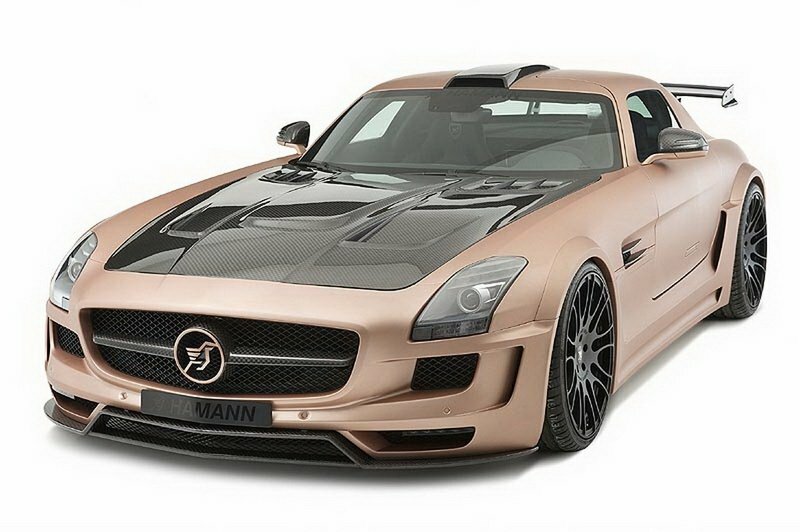 If you are looking to make your already ultra exclusive vehicle a complete makeover, Hamann can also help with that. Their most recent introduction - the Mercedes SLS AMG Hamann Hawk - shows the full breadth of work that the tuner can complete. Hamann upgraded the Mercedes SLS supercar’s ECU, bumping up the output to 636 horsepower and a maximum torque of 680 Nm of torque. Other items that were critical to the performance modifications include new manifolds, a new titanium exhaust system, sports catalysts, and a sports air filter. All told, the ‘Hawk’ SLS AMG runs a 0-6- mph time of just 3.6 seconds with a top speed of 199 mph. A complete exterior body kit, paint job and wheels were added to make the effects of the engine seen and not just heard. 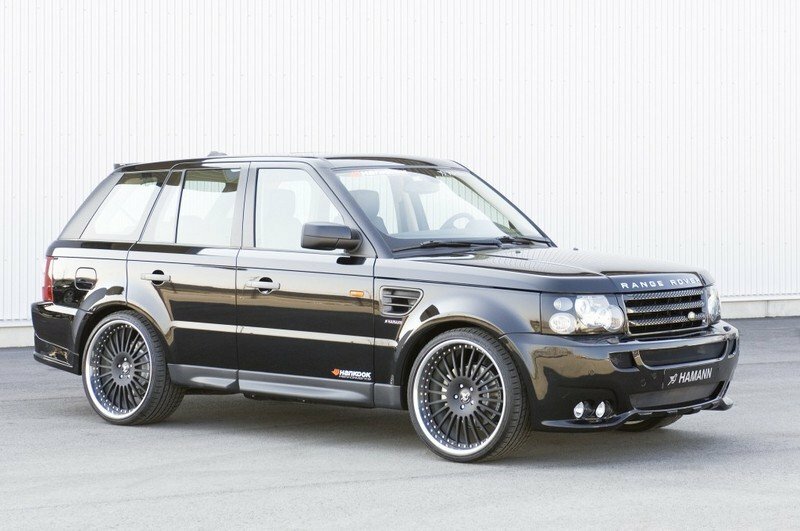 German tuner Hamann has put together a custom program for a variety of luxury SUV’s, including the very popularRange Rover Sport model. The program includes engine upgrades, aerodynamics and an exclusive wheel range. Hamann has a sportier front apron with two integrated high beam fog lights. The Hamann nameplate adorns the sides with side sills, whilst at the rear end, a rear apron provides complimentary styling to the front spoiler. A roof spoiler allows the Range Rover Sport to run more smoothly at higher speeds. To complete the picture, Hamann fits air inlet trims from carbon fiber. One of the more aggressive exterior packages being offered by Hamann is for the 2007+ BMW SUV line, including the X5. 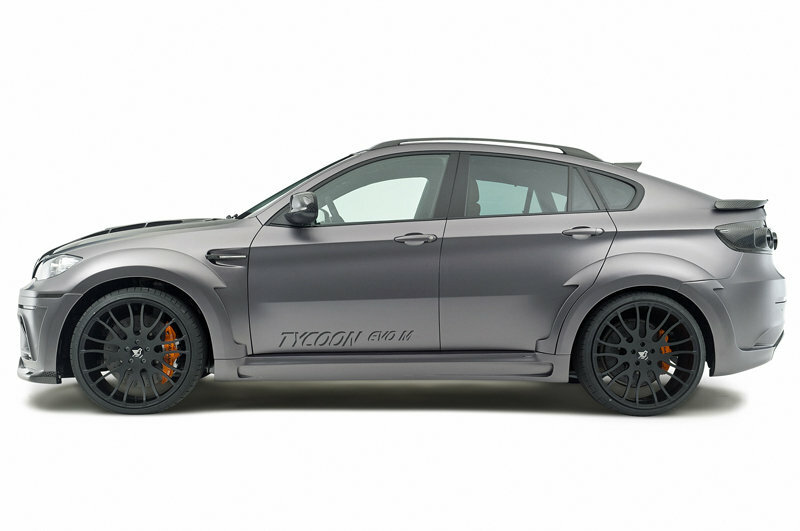 The modifications include a Hamann suspension lowering kit, complete Hamann sports suspension, high performance brake system which provide optimal deceleration under any driving condition. The Hamann aerodynamic body styling components for front, sides and rear complete the model including a wide body with roof spoiler. Since these modifications can take a considerable amount of time to complete, Hamann also offers competed vehicles for sale on their website. One of the most exciting models currently up for sale is a BMW X6 Tycoon. This was built from a stock X6M model, which has considerable performance chops on its own, but has been upgraded in nearly every aspect. The body kit alone lets any prospective owner know that it means business and the dual exhaust exits coming out of the center in the rear bumper are downright menacing. Nearly every product available from Hamann is on this model and a full interior retrofit has been completed as well. The cost you ask? Just under $355,000. Clearly Hamann tuning is not for every enthusiast, but if you are looking for the best and most prestigious tuner of BMW’s and other upscale manufacturers than they are matched by very few. Wow! Mr. Hamman i definitely one of the best artists I’ve ever known. Looking at his work no doubt that, he would be a big lose in the car industry. Maybe he put in rest but his work would be put in the history. Very well said, all of you guys. Hamann’s legacy will certainly be remembered for a long time in the auto tuning circuit. Well, this just goes to show why their team is considered as one of the best in the auto tuning field. These cars are really some of the finest I have seen lately. Now I see why Richard Hamann was well loved in the industry. Those cars are certainly some of his finest works, and definitely will be his legacy. Richard Hamann really left a great deal of fantastic work behind. These cars are really the best testament to his sense of style. I agree with you, fitz5579. For sure the auto industry is mourning for losing such great man like him. He is the real genius when it comes to sculpturing such great piece of art. His work will never be forgotten in the history of car manufacturing. I can’t help but get chills seeing all the work of Hamann lined up in one area. That guy definitely has great talent and an eye for detail. The auto tuning industry will surely miss him. Yeah, this one is definitely the best tribute to Richard Hamann. His body of work is certainly amazing, with all the details in them meticulously laid. Such a great craftsmanship, the elegance and the legacy. A true tribute for such a maestro should be given through a special tuning that represents his real passion and taste.